Spray slow cooker insert with cooking spray. Line the bottom and sides of insert with aluminum foil. Let the foil hang over to make handles for easy release. Cut the cinnamon bread into 1 inch cubes. Add to the slow cooker. Make the custard by whisking together, eggs, half-and-half, salt, vanilla, cinnamon, and brown sugar. Pour custard over the bread cubes. Sprinkle chopped pecans on top of bread pudding. Cook on low for 3 hours or until a knife inserted comes out clean. 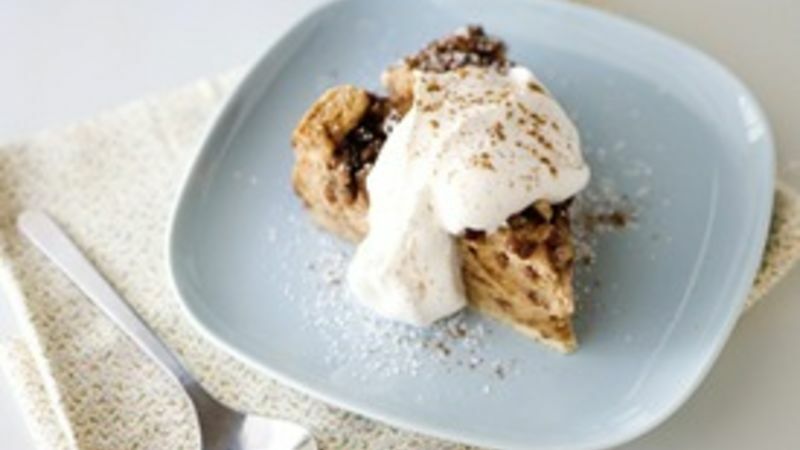 Serve with whipped cream, powdered sugar, and a sprinkle of cinnamon.